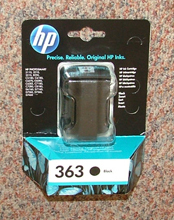 Home / HP / Photosmart / HP Photosmart C5180 / C8721 – Original Equipment HP363 STANDARD CAPACITY (6ml) black cartridge – delivered FAST & FREE! 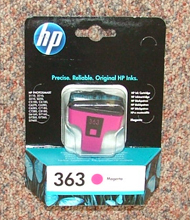 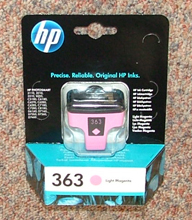 C8775 – Original Branded Equipment HP363 Light Magenta cartridge – delivered FAST & FREE! 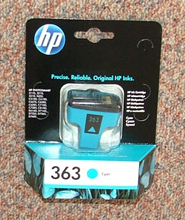 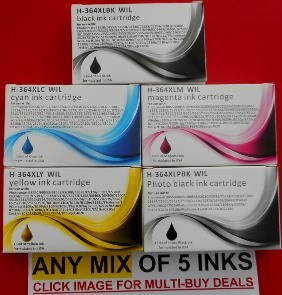 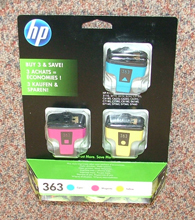 1.HP364XL-5Comp – Set of 5 Guaranteed HIGH YIELD HP364XL Compatible Bk/C/M/Y/PB Ink Cartridges – delivered FAST & FREE!